édité le 06/06/2017 - Plus de news de "REPSOL" - Voir la fiche entreprise de "REPSOL"
Repsol has uncovered its largest volume of gas of the last five years offshore Trinidad and Tobago, where the find is the most significant in a decade for the country. The company estimates the finds made in two wells at two trillion cubic feet of gas in place (2 TCF). The discoveries were made in two wells, Savannah and Macadamia, located in the East Block within the Columbus Basin east of the island of Trinidad at a depth of 150 meters. 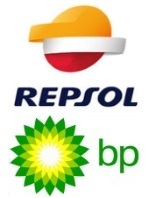 Repsol holds a 30% stake in the exploration consortium, bpTT, while the rest is held by BP. After the United States, Trinidad and Tobago is the most important country for Repsol in terms of production. The company produced 101,887 barrels of oil equivalent per day in the country in 2016. This discovery comes after another made by Repsol in March in Alaska, the largest conventional discovery of hydrocarbons of the last 30 years on US soil. It is estimated that the contingent resources of the area where the discovery was made, known as Nanushuk, will total approximately 1.2 billion recoverable barrels of light crude oil. With this discovery, 47 hydrocarbon finds have been made by Repsol in the last 10 years, eight of which were among the largest of the year worldwide at the time. In addition, the Trinidadian authorities have authorized the development of the Angelin project, in which Repsol holds a 30% stake. This field is located in the West Block, 60 kilometers from the island of Trinidad, where production is estimated at 600 million cubic feet of gas per day (109,000 barrels of oil equivalent per day). The drilling phase is expected to begin in the second half of 2018, with production beginning in 2019. Repsol has operated in Trinidad and Tobago since 1995 through its Upstream business (hydrocarbon exploration and production). The company holds mineral rights to three offshore production and development blocks. Additionally, Repsol holds rights in two other exploration blocks. Repsol's 2016 net production in Trinidad and Tobago stood at 3.9 million barrels of liquids and 187.5 billion standard cubic feet of natural gas, equivalent to 101,887 barrels of oil per day. The company's net proved reserves of oil and natural gas amounted to 291.4 million barrels of oil equivalent at the end of 2016. Approximately 65% of Repsol's production and 75% of its reserves are gas, a key fuel in the transition to a low-carbon energy future.